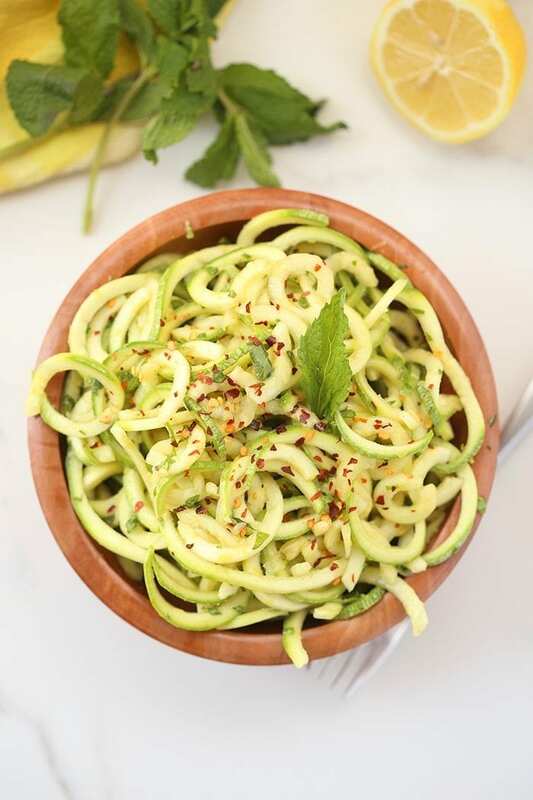 A light and refreshing salad recipe for Spring or Summer, this Lemon Herb Zucchini Noodle Salad will become a seasonal classic. 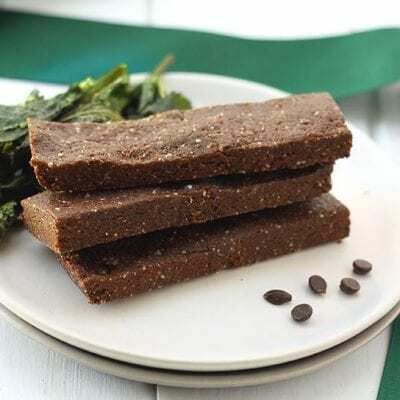 Full of fibre, and veggies and ready in 10 minutes or less! Before I ever began on this journey of blog writing, I was a dedicated blog reader. Before the days of Bloglovin, there was Google Reader (RIP…) and my Google Reader was packed to the brim with all kinds of blogs! From food, to fashion, to health, my days always started with the TODAY show and my daily blog reading ritual. Some people read the paper, I read blogs. 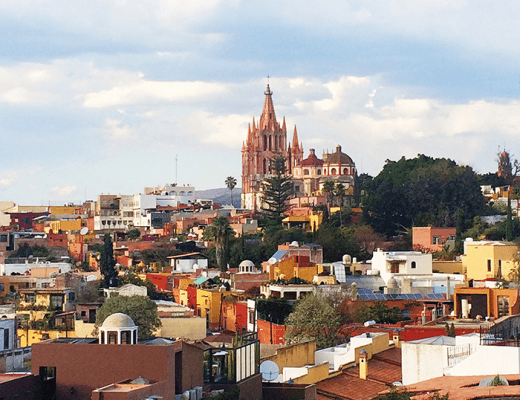 These days my schedule doesn’t allow for a whole lot of blog reading (I wish!) but I still keep a couple favorites that I check in on every now and then. Since the beginning of my blog reading days, one of these blogs has been The Healthy Apple. Amie is an OG blogger, who started blogging within the health sphere before everyone and their Mom had a blog. I was always blown-away but Amie’s courage, strength and genuine desire to help people with their own health struggles. 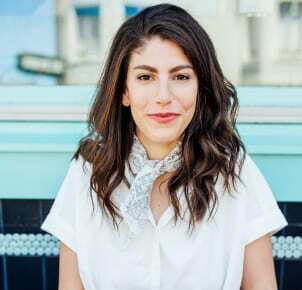 I couldn’t necessarily relate to every aspect of Amie’s journey, but her healthy recipes, expert knowledge and honesty always kept me coming back. She’s never once wavered in her values or her determination to help heal her body. You can read more about her health journey here. 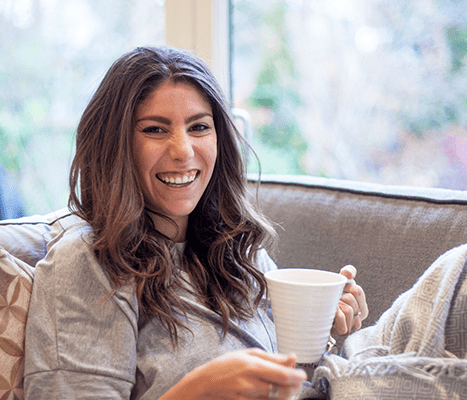 I’m not entirely sure how it happened, but Amie and I connected over social media, and I transitioned from a blog fan-girl into a friend. Then last year when I was visiting NYC, we met up and not surprisingly she is just as spunky, knowledgable and approachable in person as she is on her blog. Since then we’ve skyped and stayed up-to-date on email. 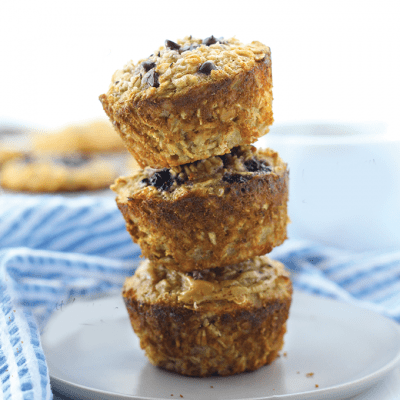 It’s been tough to stay in touch amidst our busy schedules, but especially as Amie has been working on her incredible new cookbook, Eating Clean. But of course when Amie reached out asking if I would like to see a copy of the book and share it with you guys, I jumped at the opportunity. Not only do I get to support a friend as she’s tackled an unbelievably time-intensive project, but also share a delicious recipe with you. I could never have anticipated that I’d get more than just healthy and flavorful recipes from Eating Clean! 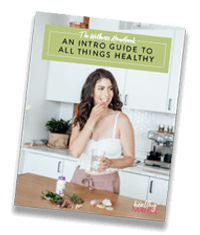 Amie shares how’s she’s completely revamped her lifestyle to treat several illnesses including PCOS, Lyme disease and IGA deficiency, among others. 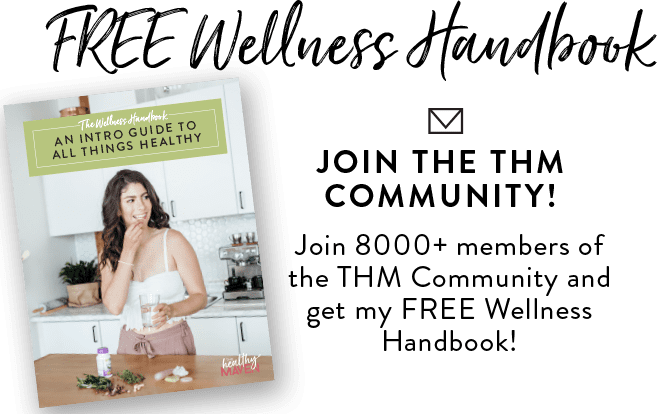 But beyond just her tips and healthful recipes for illness treatment, she’s provided valuable information on illness prevention and simple tricks on balancing your hormones (a key to optimal health! ), skin health and overall digestive function. 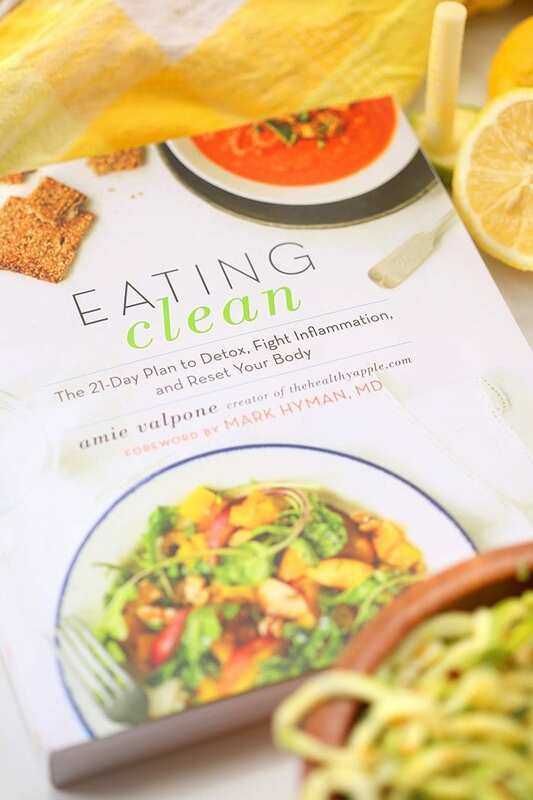 As someone who can geek out on the power of food to treat and prevent illness, Eating Clean was easily one of my favorite cookbook reads of 2016. 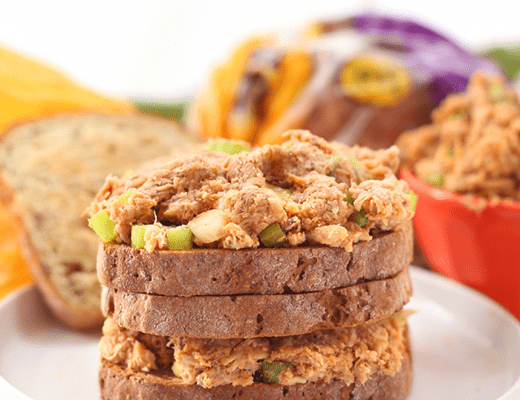 They’re all delicious, nutritious, packed full of flavor and super simple! You won’t find gluten, dairy, soy, eggs, corn, peanuts, or refined-sugar but you won’t notice. You’ll be prepping real, whole foods to support a sustainable lifestyle you can stick to for a lifetime. 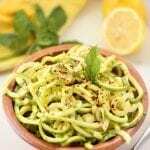 Recipes like this Lemon Herb Zucchini Noodle Salad that is ready in under 10 minutes is just the tip of the iceberg. Imagine healthy meals that don’t require you to slave away in the kitchen. Now come to terms with the fact that these recipes exist, along with research to support their effectiveness. That’s what you’ll get in Eating Clean. I hope you’ll take the time to pick up a copy (order here!) and support Amie in her goal to help us all live a little bit healthier. But in the meantime, make this salad. You won’t regret it! *I use the inspiralizer to spiralize my vegetables! Do you have “must-read” blogs on your blog reader? Who are they?! This sounds delicious! I love a good zoodle salad! I totally agree! The perfect pairing! This salad sounds perfect for spring. I haven’t heard of her blog so I will definitely check it out! You definitely should! You will love Amie! 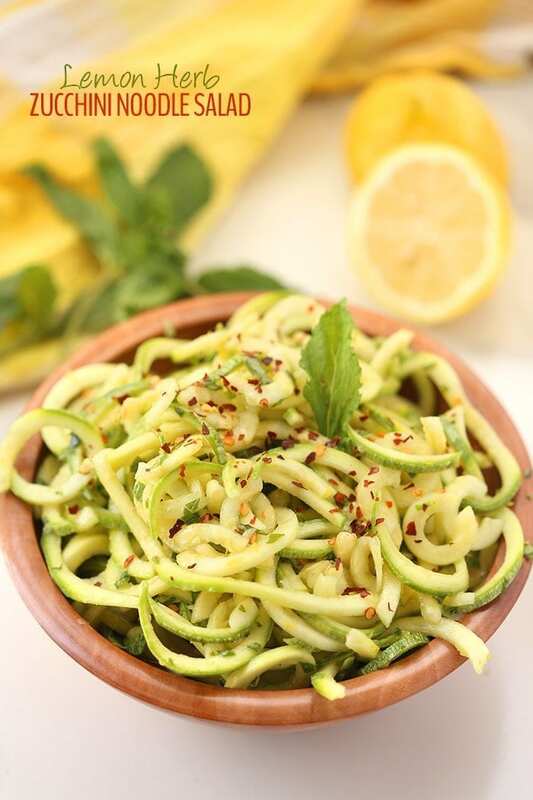 I know most people cook their zoodles, but I absolutely adore them raw – they have such a nice crunch and really are good with any flavor! So refreshing, especially as it warms up. I bet her cookbook is awesome!! I’m really into eating them raw. I feel like they get so soggy when you cook them. Loving this salad for Spring! Me too! Thanks for this recipe. I totally agree! I could read Hummusapien for dayzzzzz. I love a good recipe + story! But as always, people and things change! Life without Google reader is sad. Zoodle. Do the zoodle dance. This looks amazing and would go perfectly in the summer with some grilled chicken and other fun BBQ foods. Thanks for posting! Amazing pictures, as usual. Perfect for a summer bbq for sure! Thanks for sharing Davida. I’ll have to make this for my girlfriend. She’ll love it! Hope you enjoyed the recipe! Be sure to check out Amie’s blog. She’s the best! This looks totally amazing and simple! I can’t wait to make it. I have tears in my eyes from reading this post! I am just getting around to reading this now and I cannot thank you ENOUGH for your amazing friendship, love, support and genuine girlfriend power! You are so amazing and I honestly wish we lived closer. I’m so happy you came into my life and I’m beyond delighted for you with all you are doing! You amaze me and I’m so blown away by your kind words and beautiful post about my book here. Thank you, thank you, thank you from the bottom of my heart for being so incredible. I’m sending you so much love and the biggest hug, Maven. Looking forward to hugging your beautiful self very soon, I hope. Lots of love and light to you from NYC. Of course, my dear! I’m so incredibly proud of you and the amazing work you produced. So blessed to have you in my life! Frankly, I need more zucchini recipes like this to get me through the week. This looks so delicious and I LOVE my Inspiralizer and finding new recipes for it. What would you recommend in place of the mint? I just don’t care for fresh mint. more basil or parsley would be great! This was zesty and delicious! A great summer salad when you have lots of squash on hand from the garden. I added a little fresh corn cut from the cob.